One of your key priorities expressed through the Boroondara Community Plan is for Council to provide a voice at the table of the Victorian and Australian governments on matters which affect our City. In recent months we have gained significant traction on issues - big and small - ranging from public housing protection, railway crossing removals, heritage protection and shopping centre improvements. 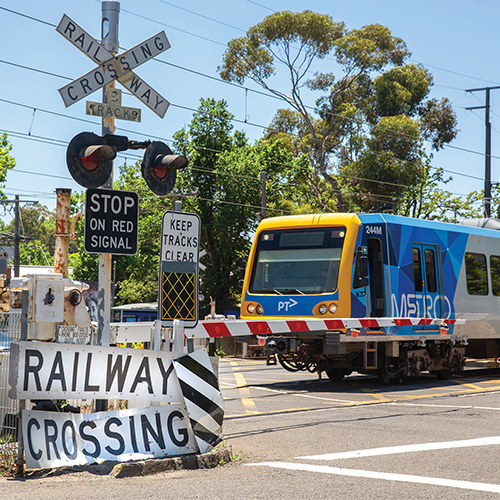 Last year, our negotiations with the Victorian Government paved the way for the removal of rail crossings in Mont Albert and Surrey Hills. The infamous Union Road rail crossing in Surrey Hills is now scheduled for removal and the railway line will be built under the road. This was a great outcome for the community. This year we will continue our advocacy efforts to campaign on a number of major issues including the North East Link project. The Bulleen Road interchange will have a significant impact on the Boroondara Tennis Centre and the Freeway Golf Course. We are therefore advocating for a solution to ensure the residents of Boroondara and Manningham can continue to enjoy playing tennis and golf at these facilities, as well as protecting the biodiversity of the area. Our advocacy efforts are an important partnership between you, the community, and the Victorian and Australian governments. We encourage you to contact North East Link Authority directly to express your comments on the concept plans which have been developed to minimise the impact of the North East Link on our community facilities. We will continue to keep you updated on Council’s significant advocacy efforts in forthcoming Bulletins.